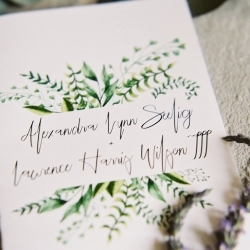 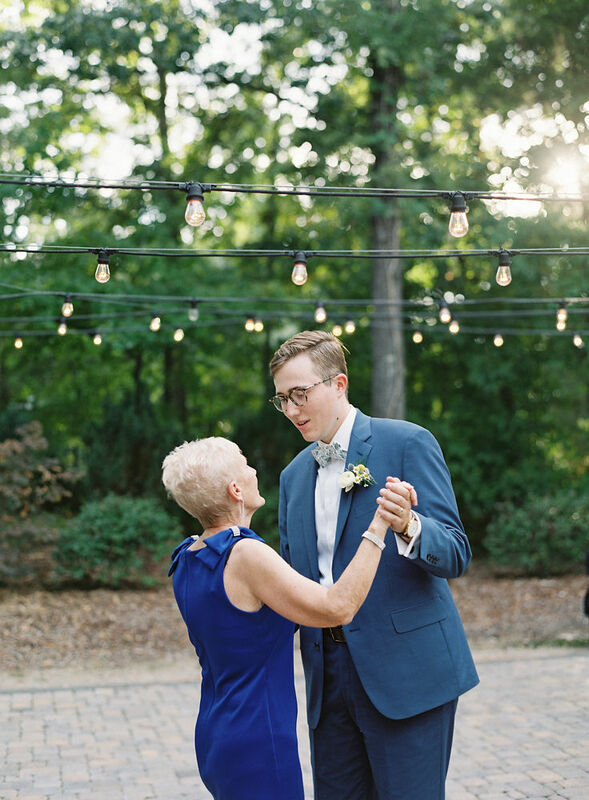 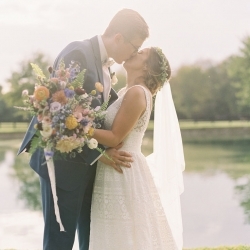 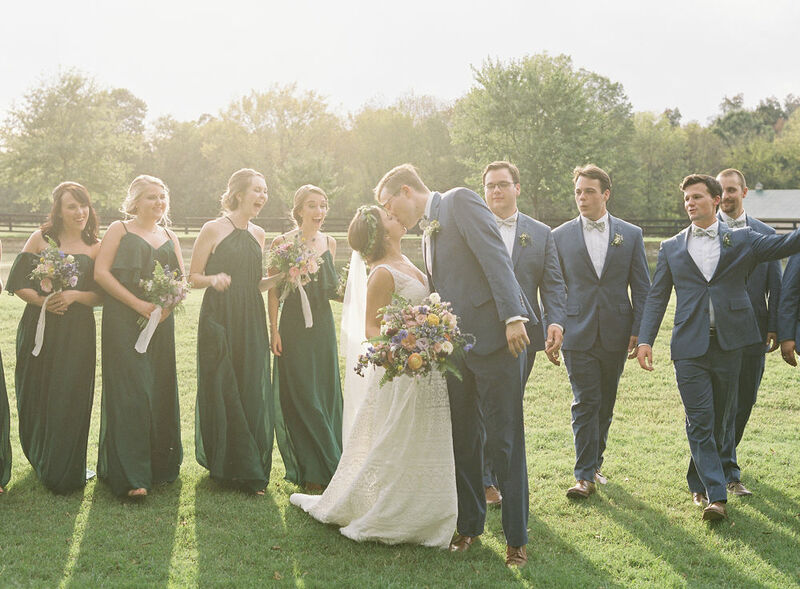 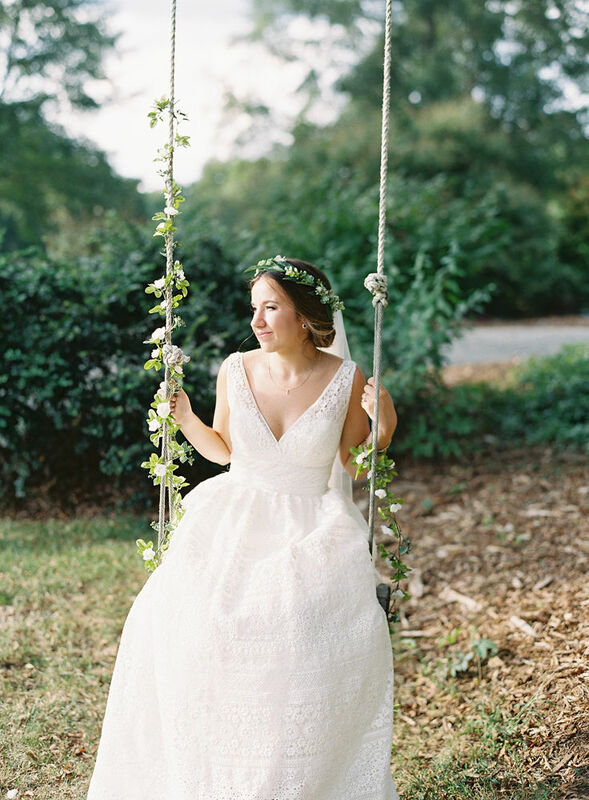 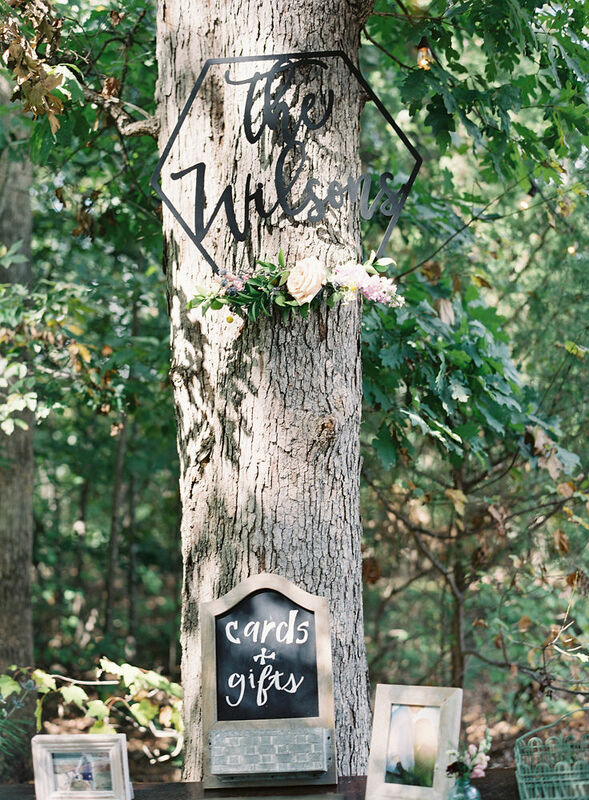 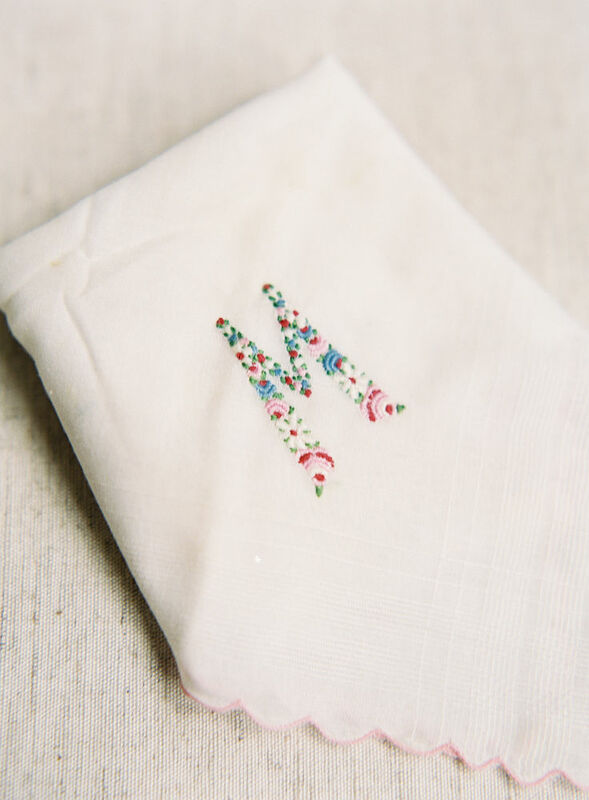 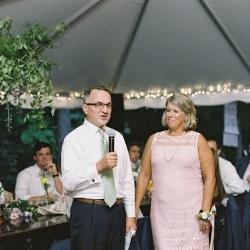 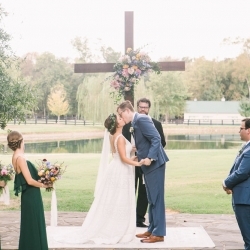 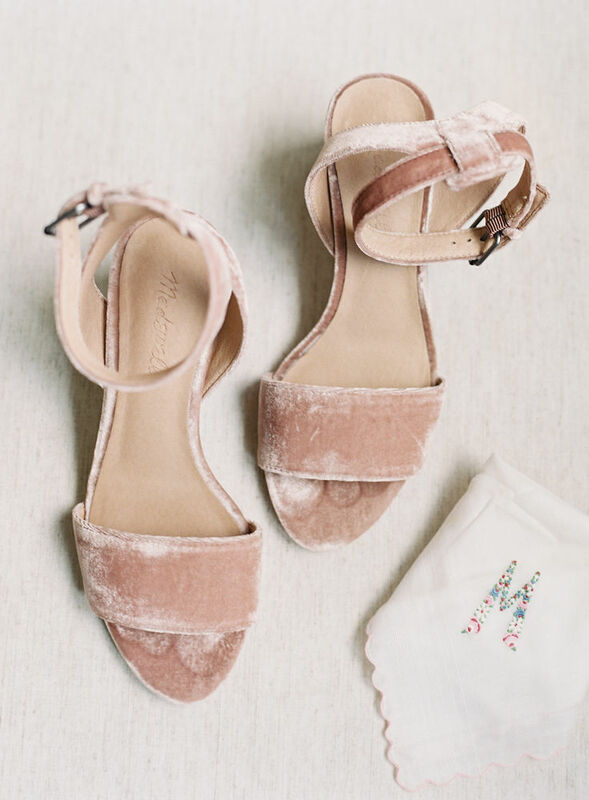 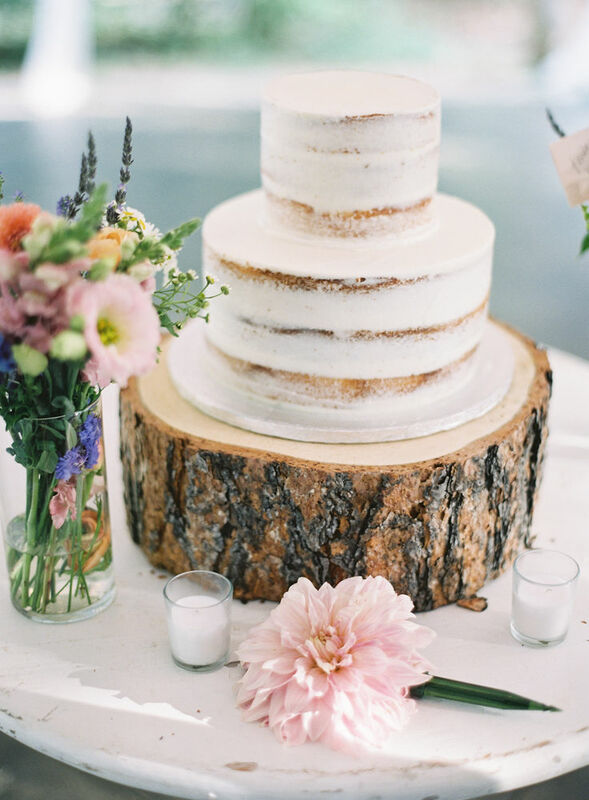 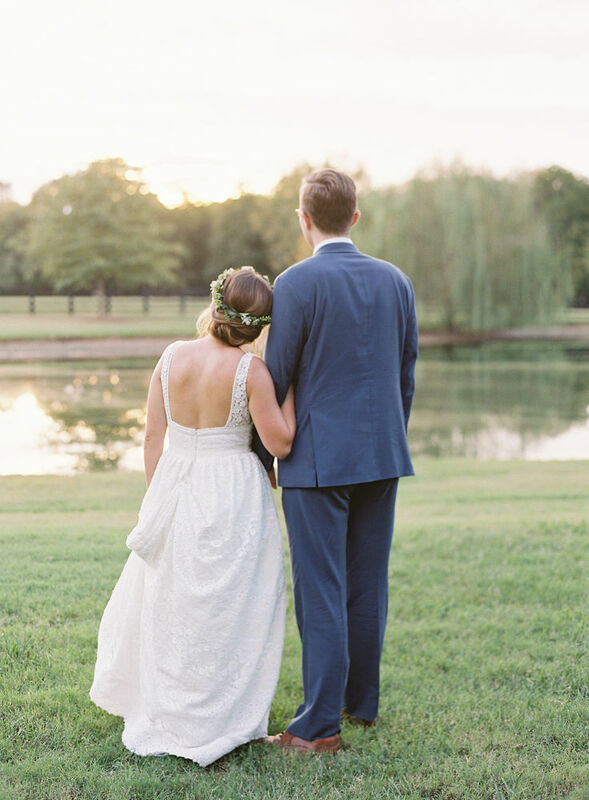 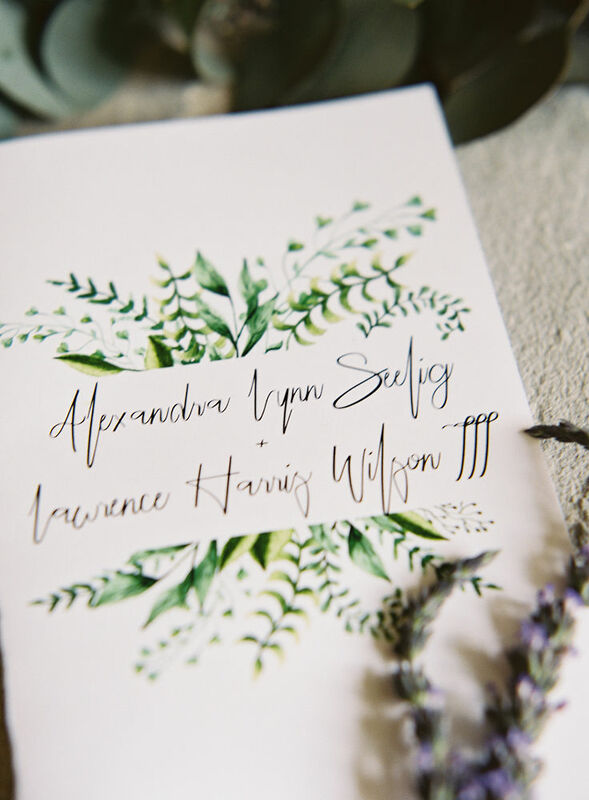 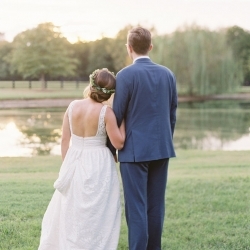 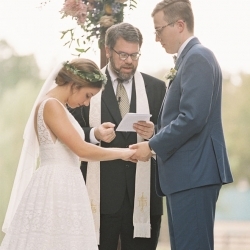 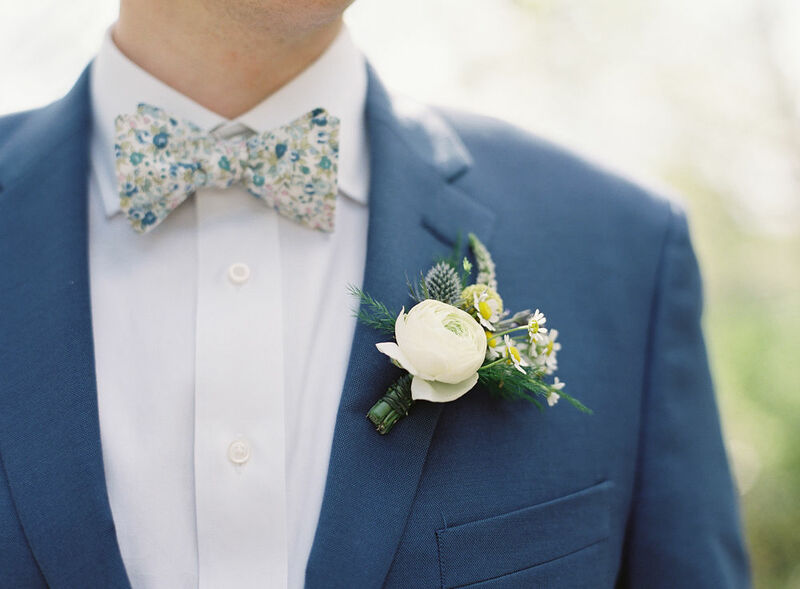 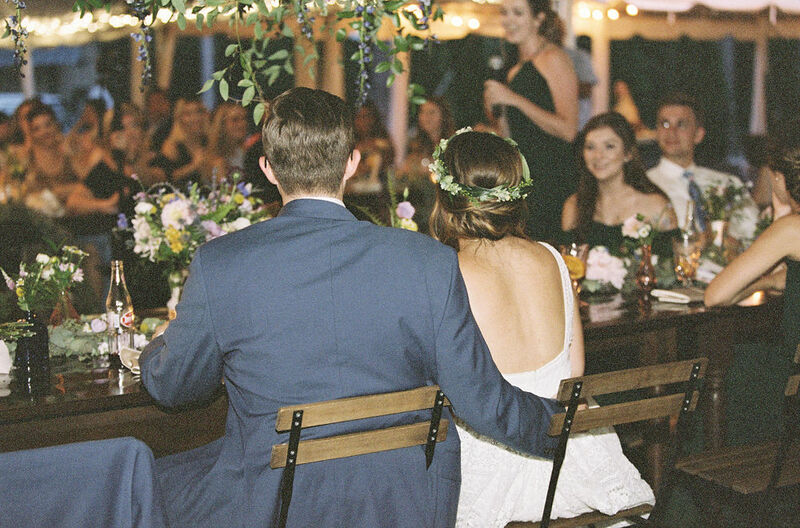 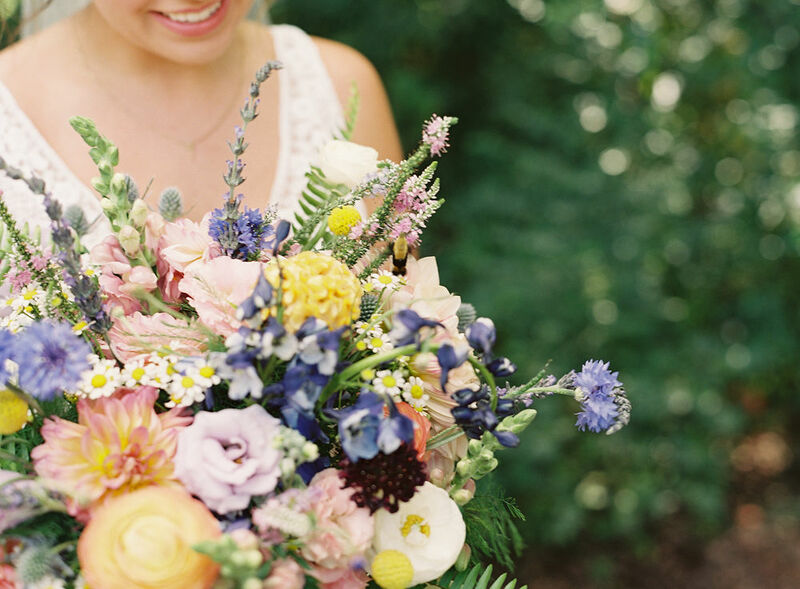 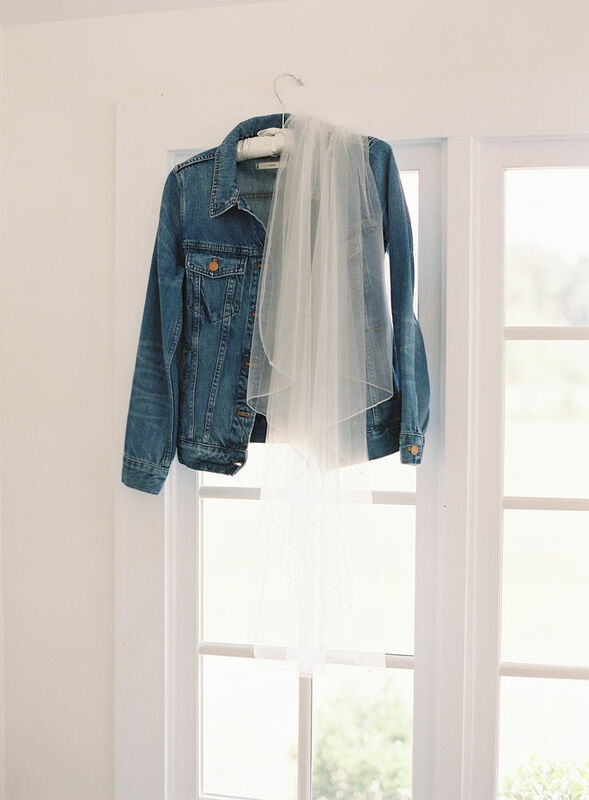 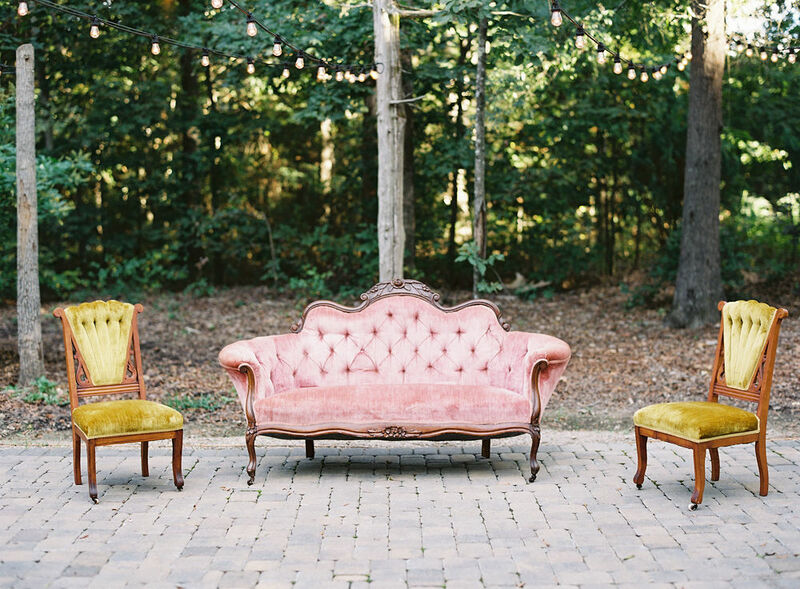 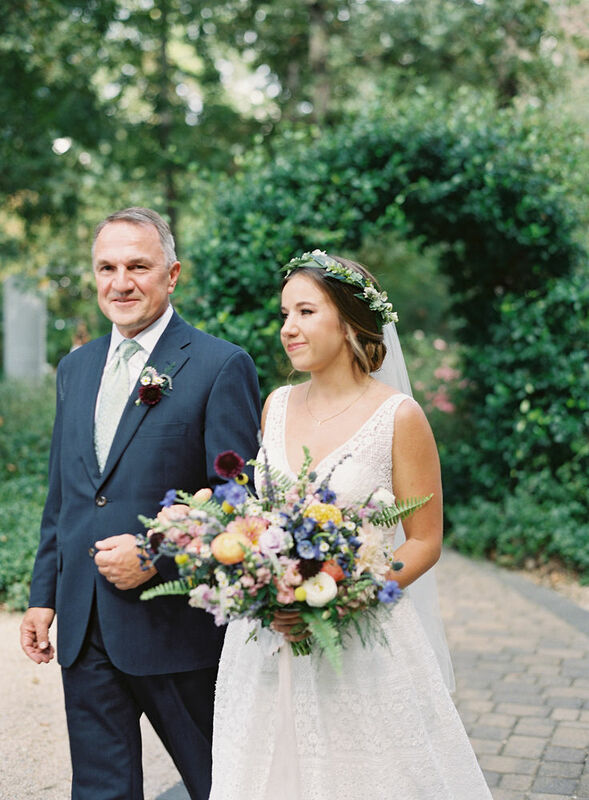 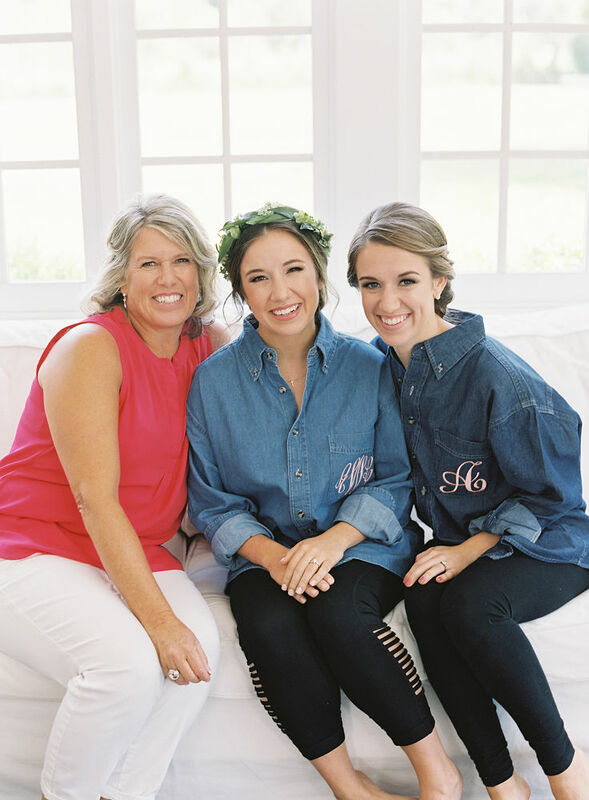 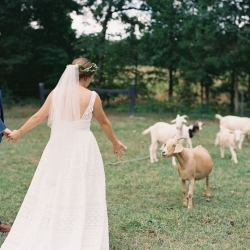 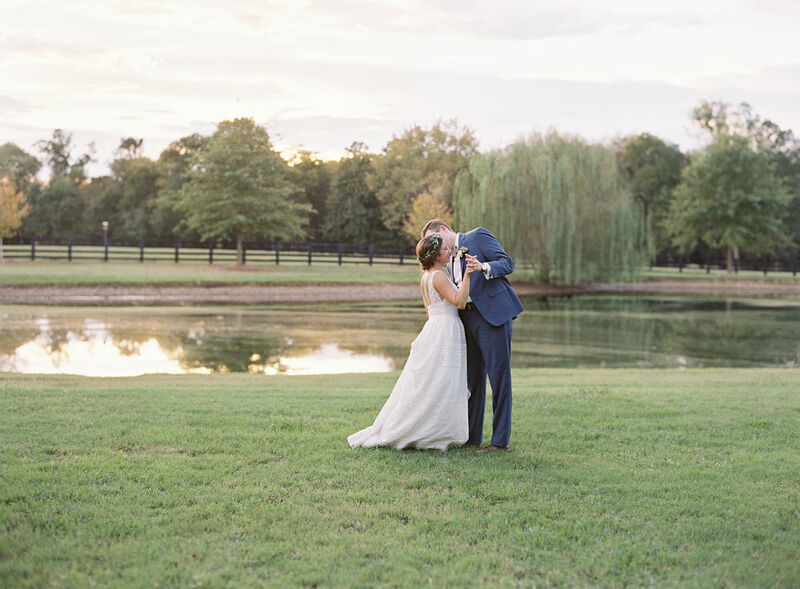 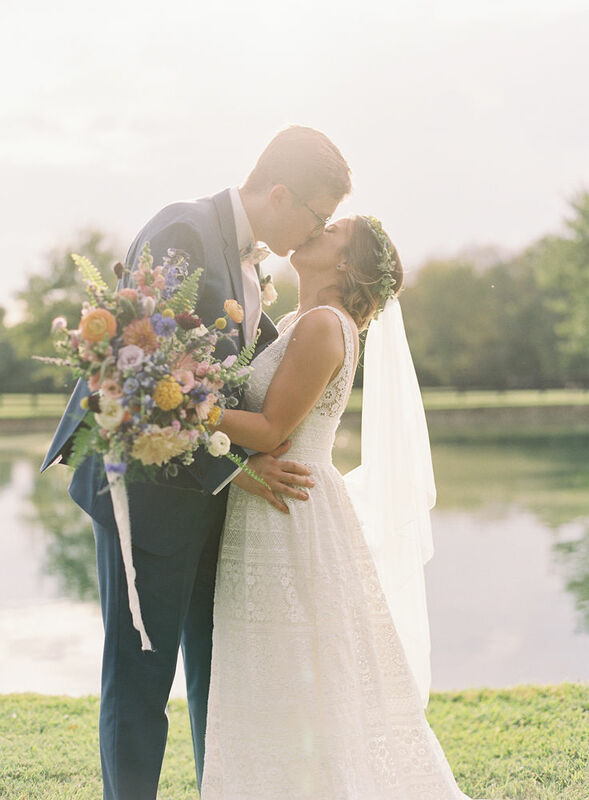 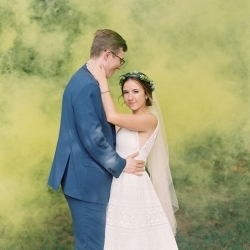 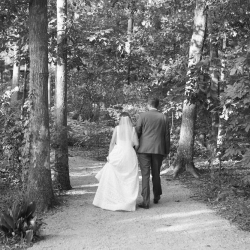 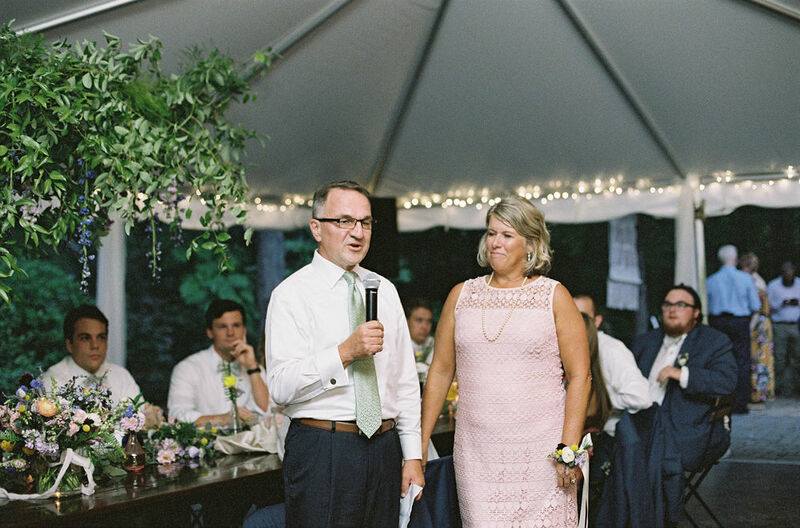 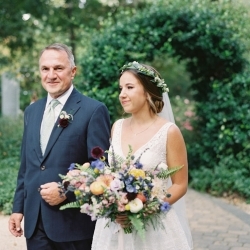 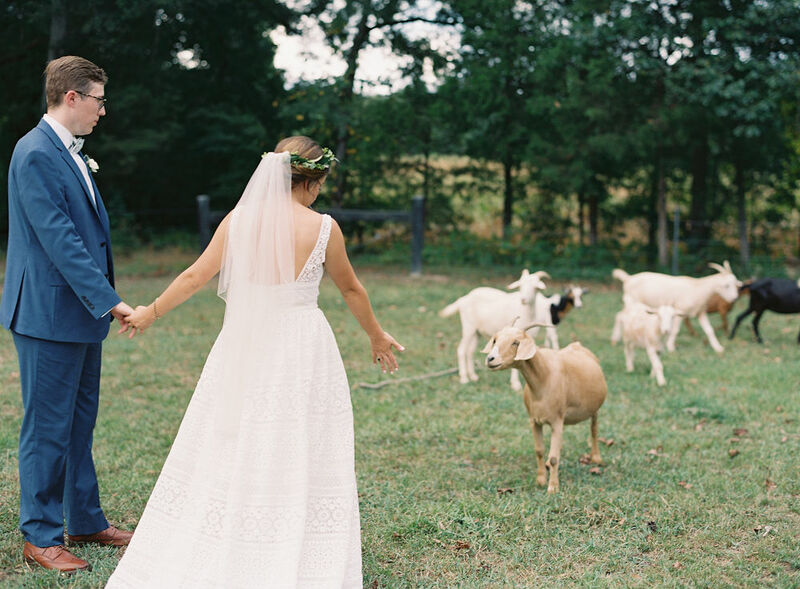 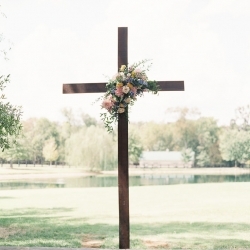 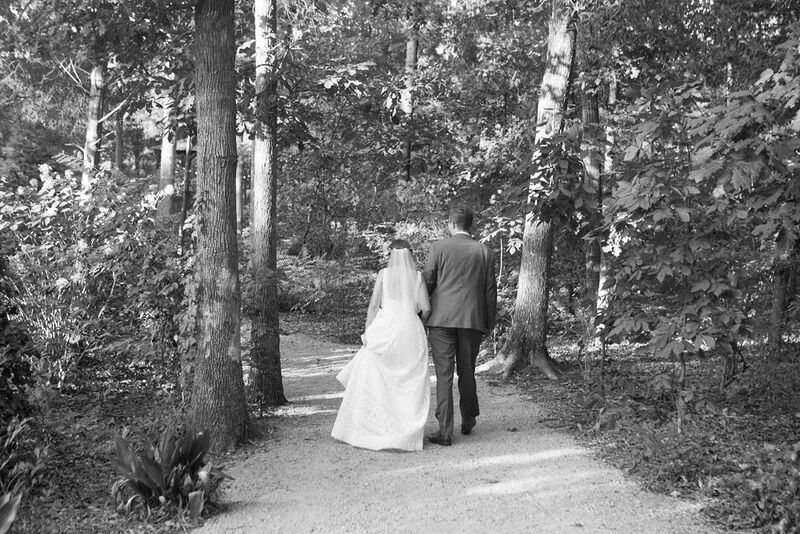 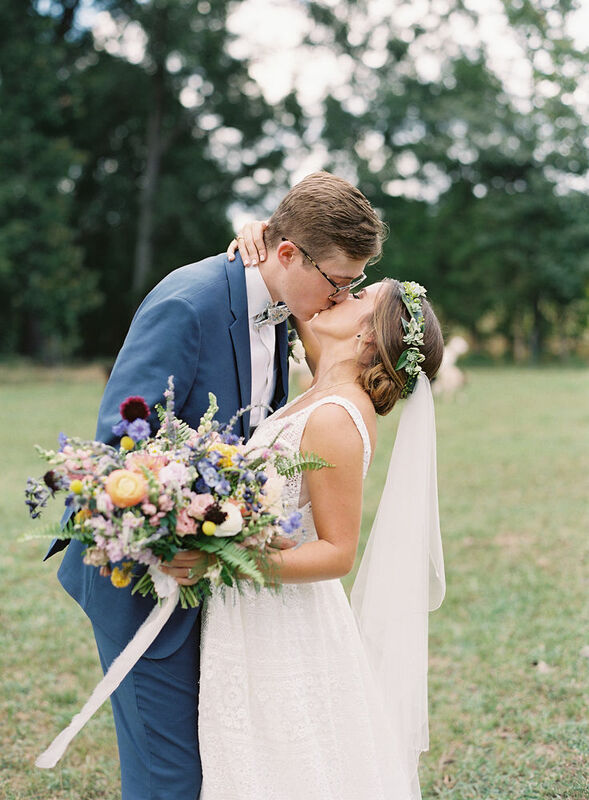 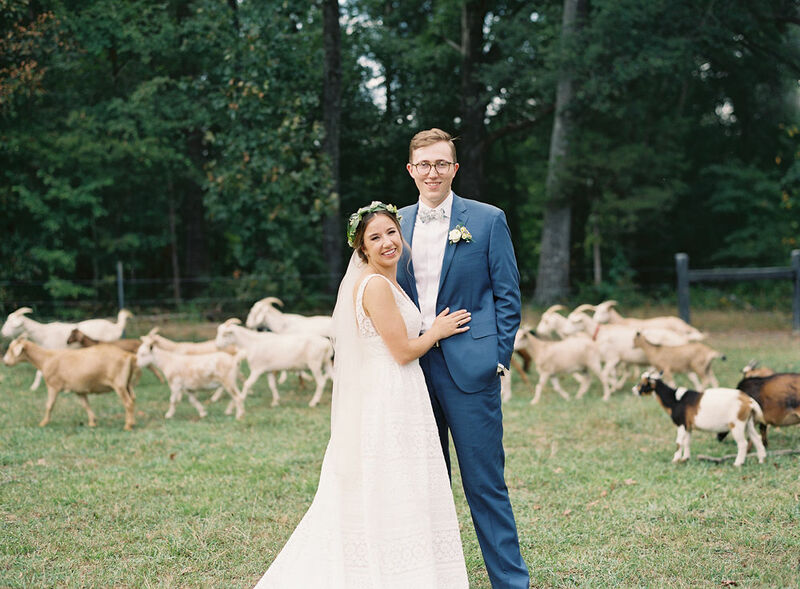 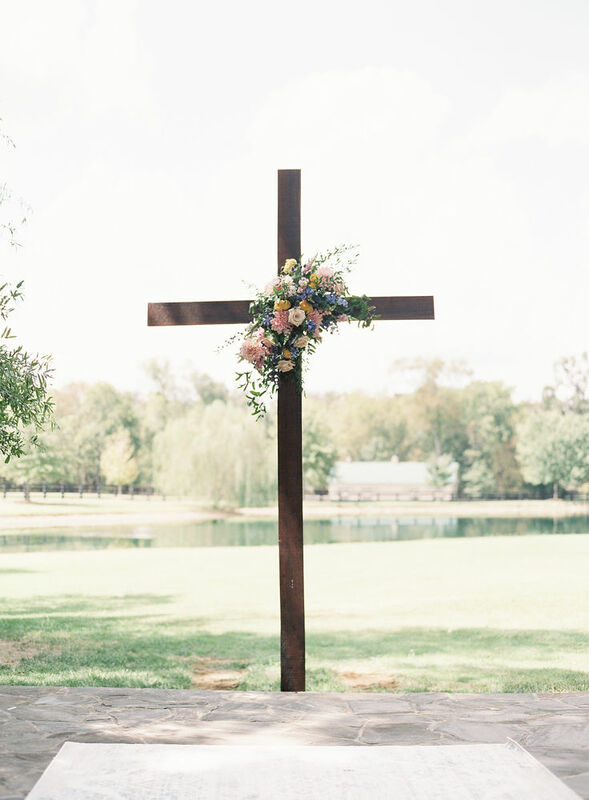 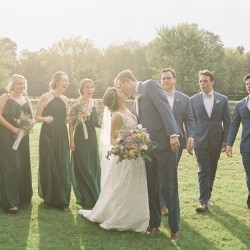 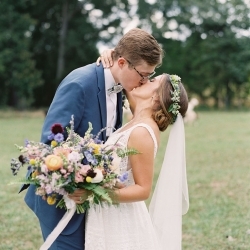 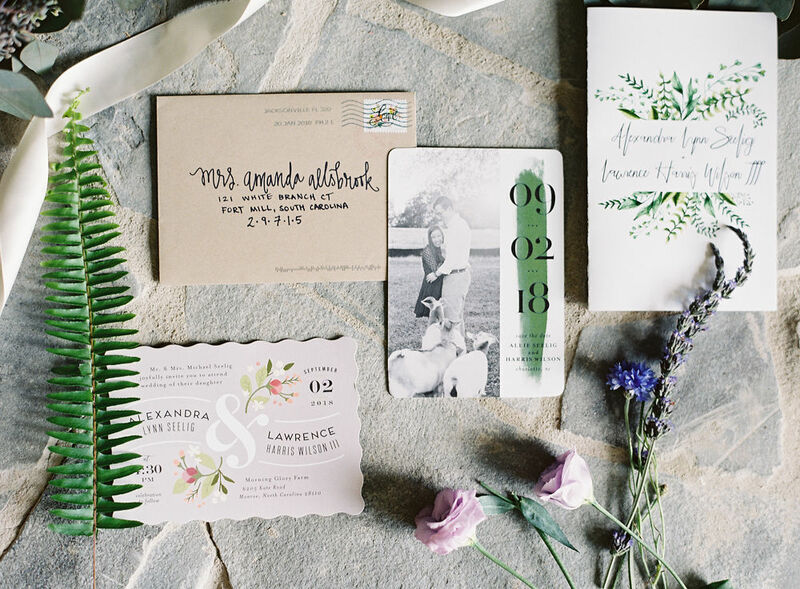 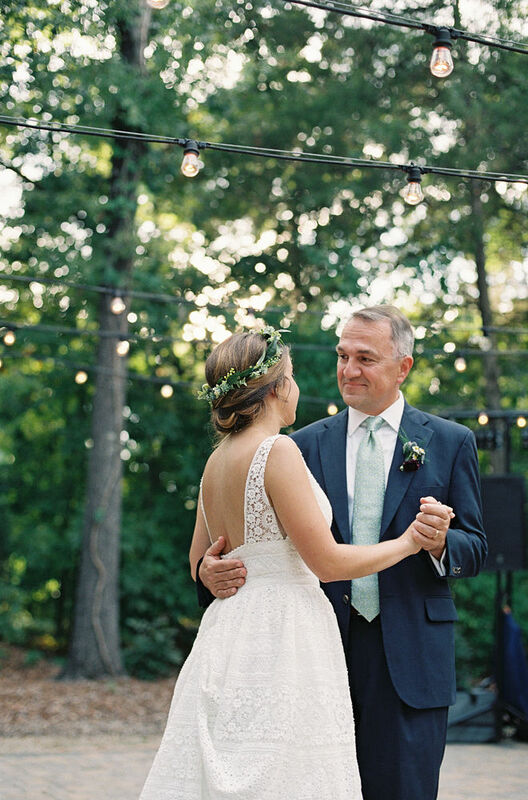 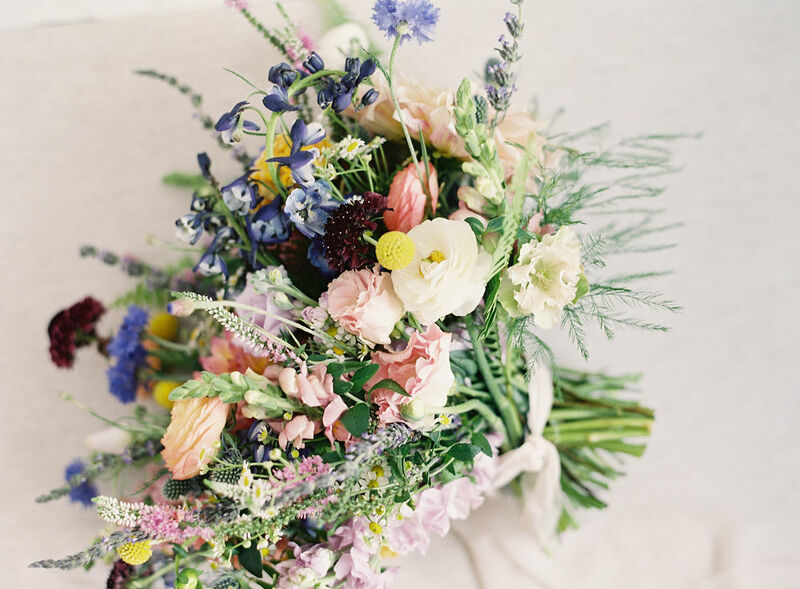 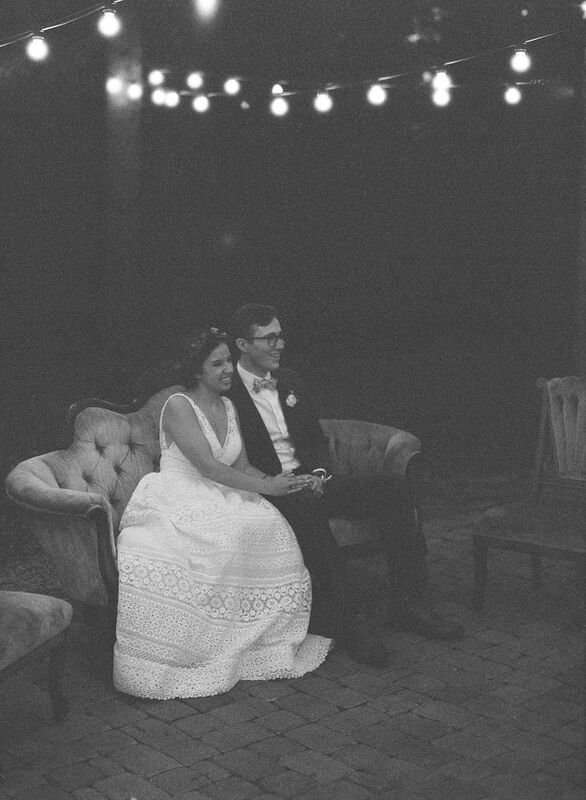 Allie and Harris were married at Morning Glory Farms in Monroe, North Carolina, right outside of Charlotte and very near to where they both grew up. 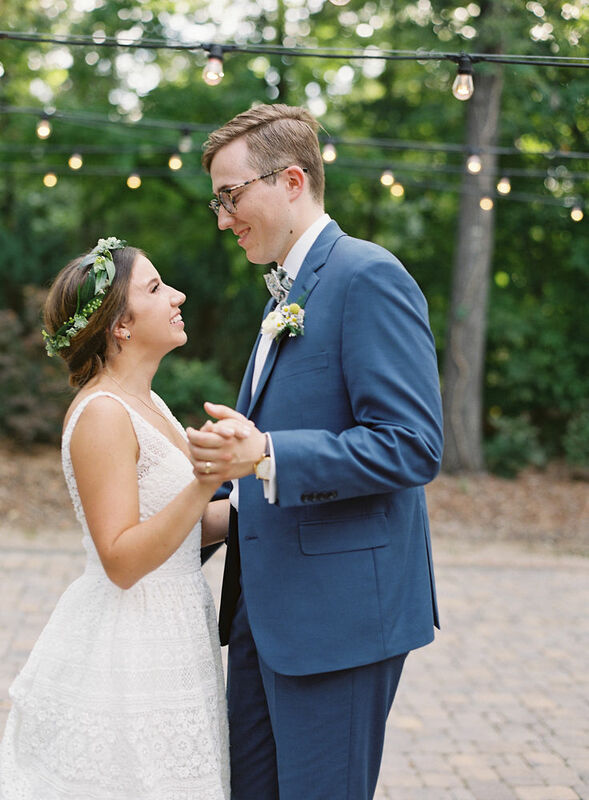 Allie and Harris are the sweetest couple! 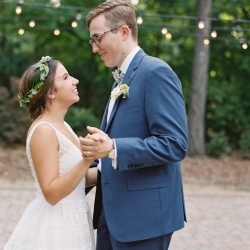 They are high school sweethearts who have made it through long distance during college! 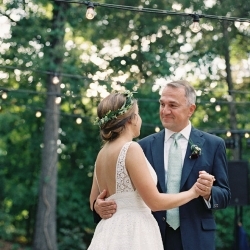 And she is now in grad school at NC State, which you know I just love! 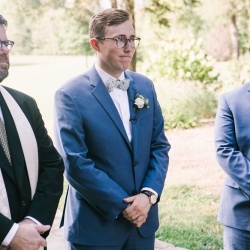 Harris went there too! 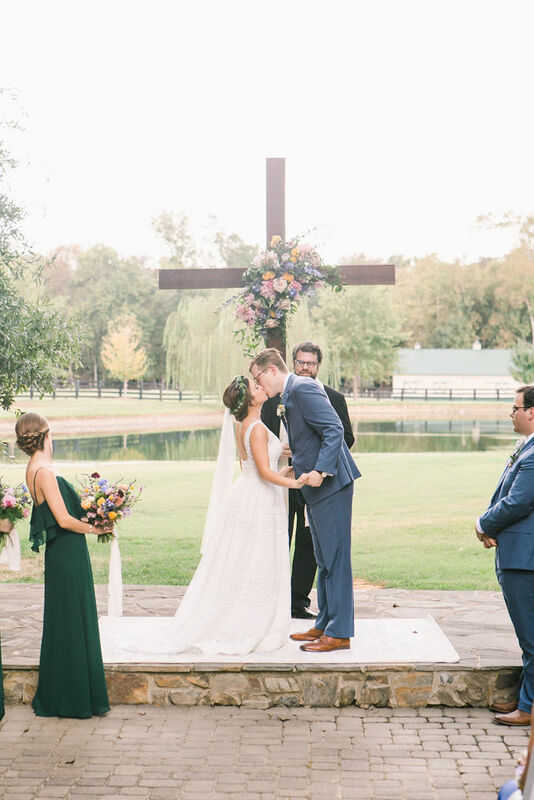 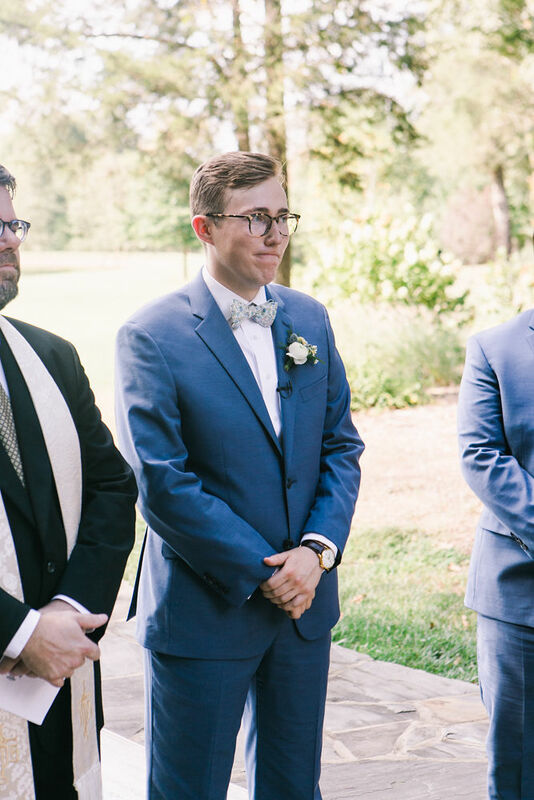 Allie and Harris wanted to be true to themselves and who they are, and I love that about this wedding! 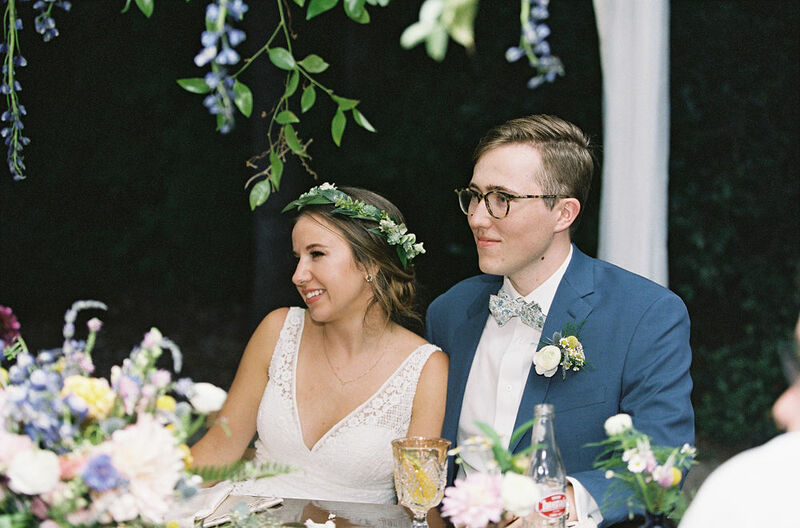 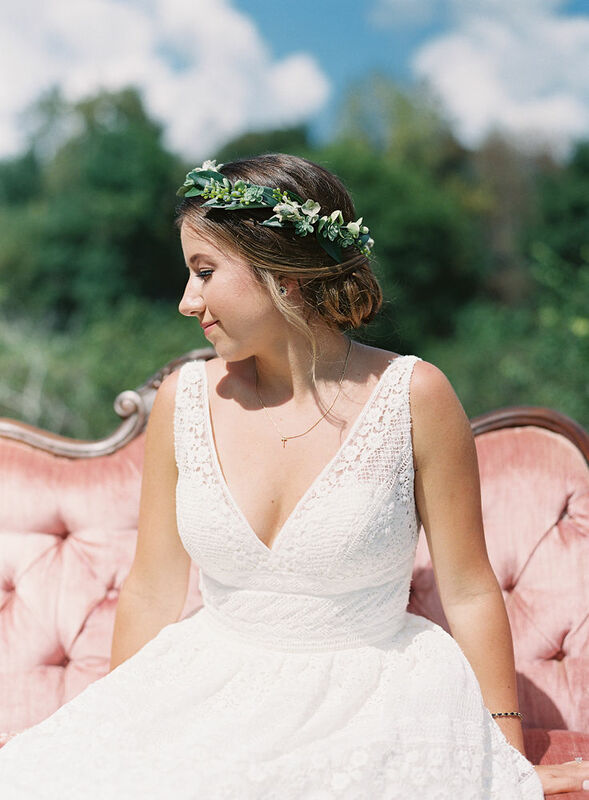 Allie is a little bit boho and funky, so we wanted to show that side of her style without going overboard on Harris’s more traditional style. 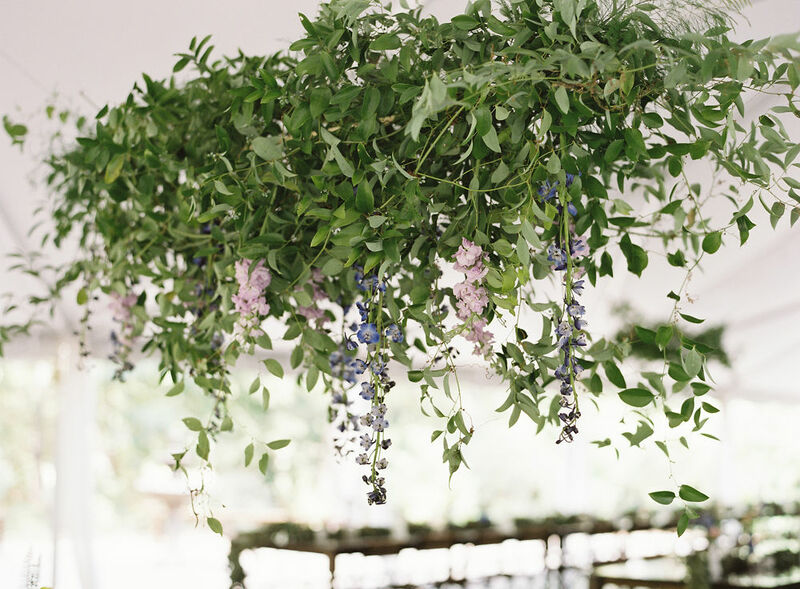 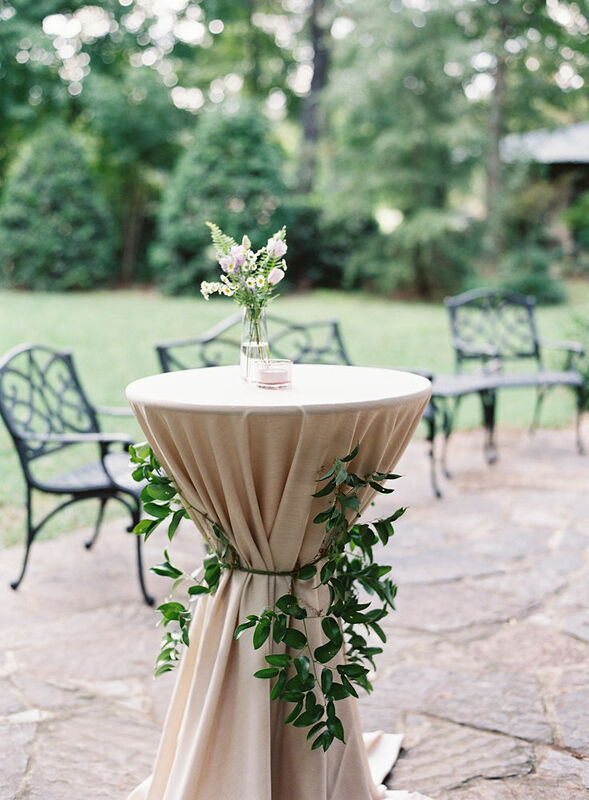 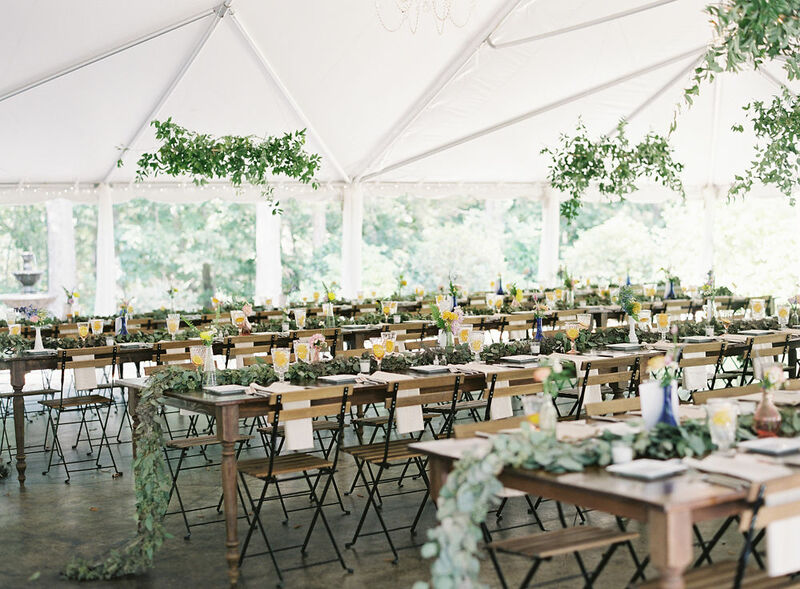 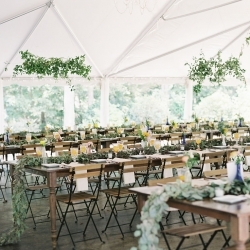 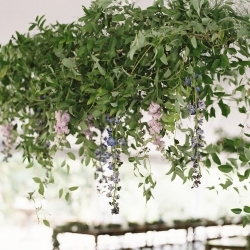 We decided to go all out with the florals with lots of color and lots of greenery everywhere, including hanging on the tent! 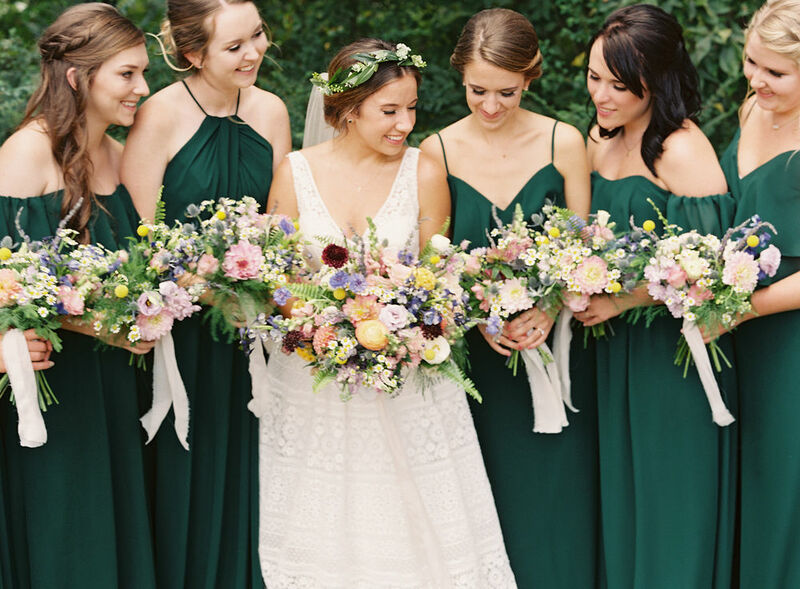 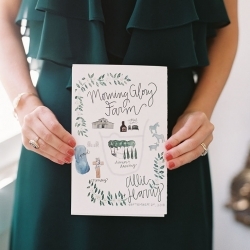 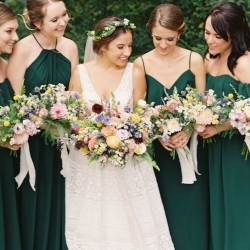 Allie went with a dark green bridesmaid dress to serve as the perfect backdrop for her colorful bouquets and greenery throughout the wedding. 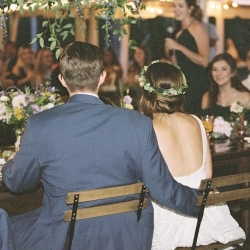 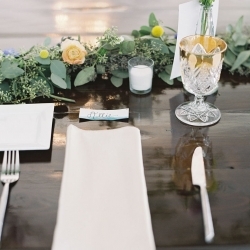 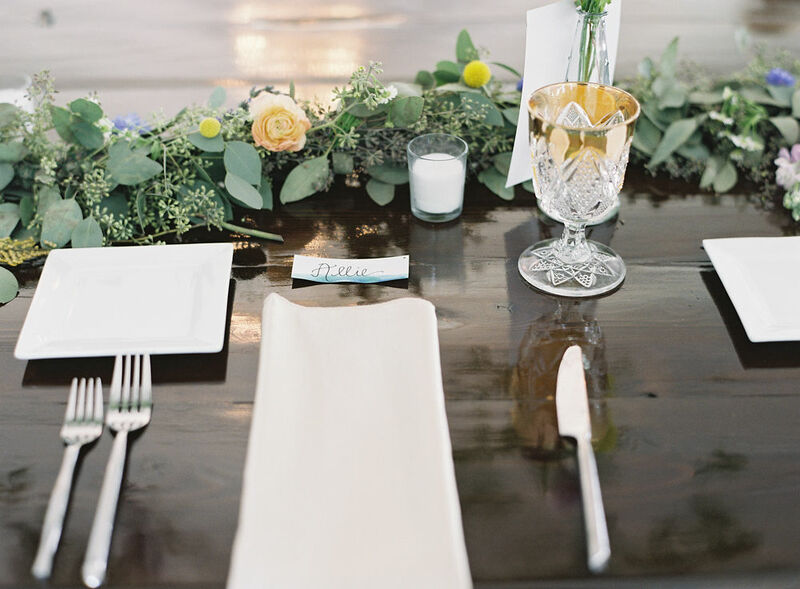 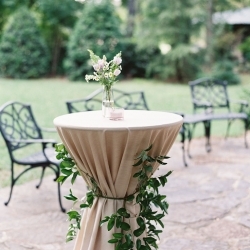 She had a gorgeous floral crown and a touch of vintage china in her glassware and lounge seating. 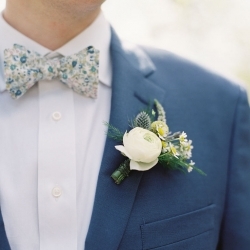 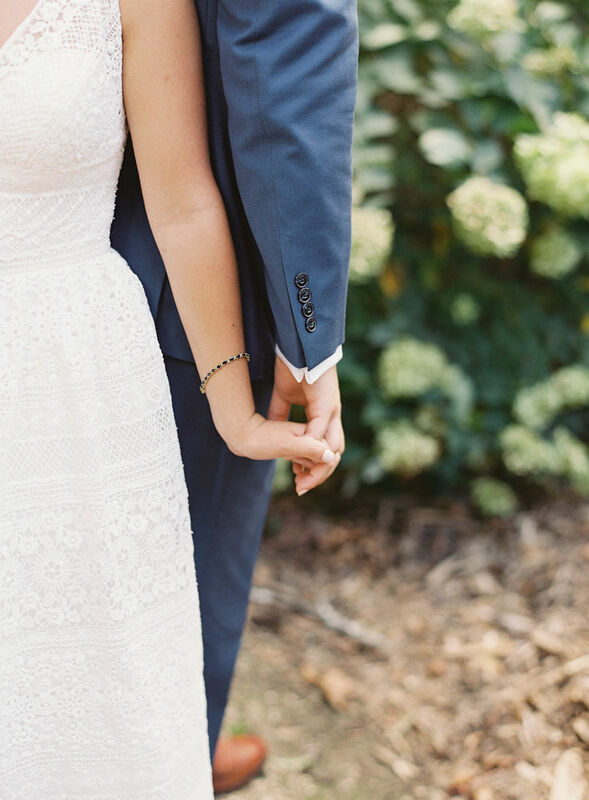 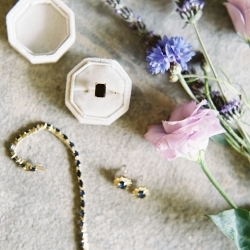 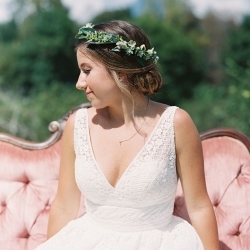 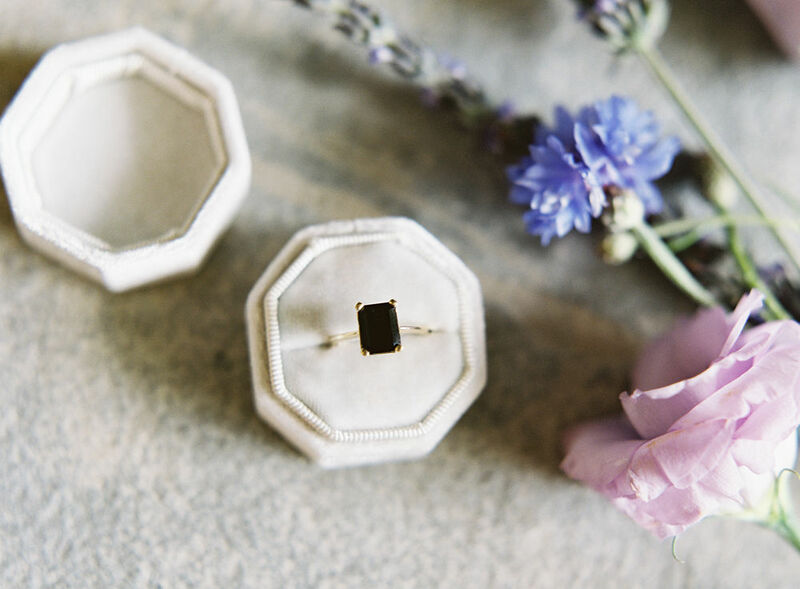 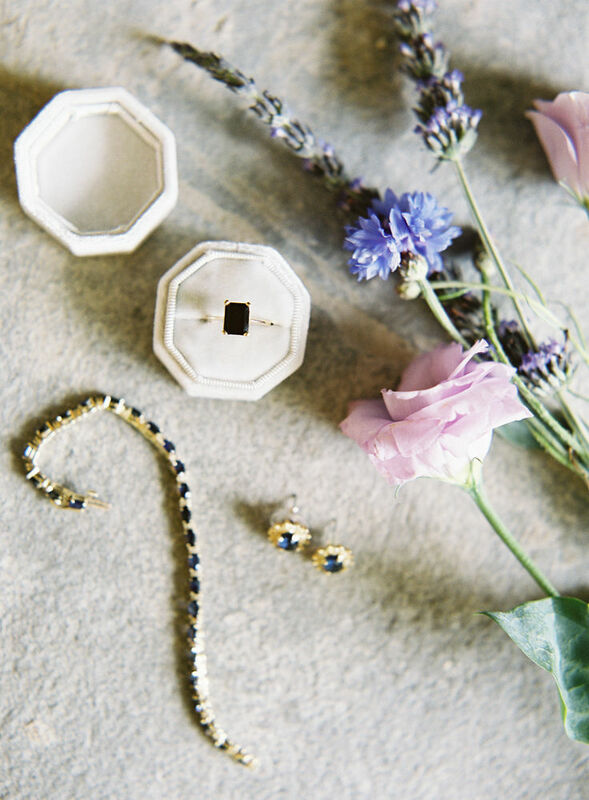 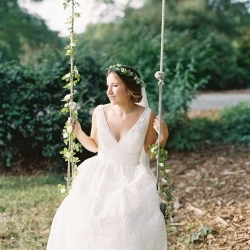 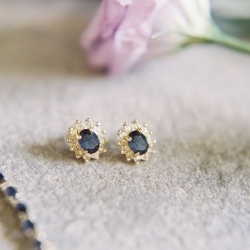 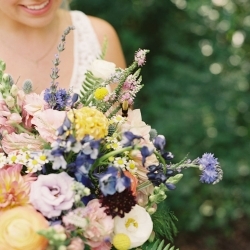 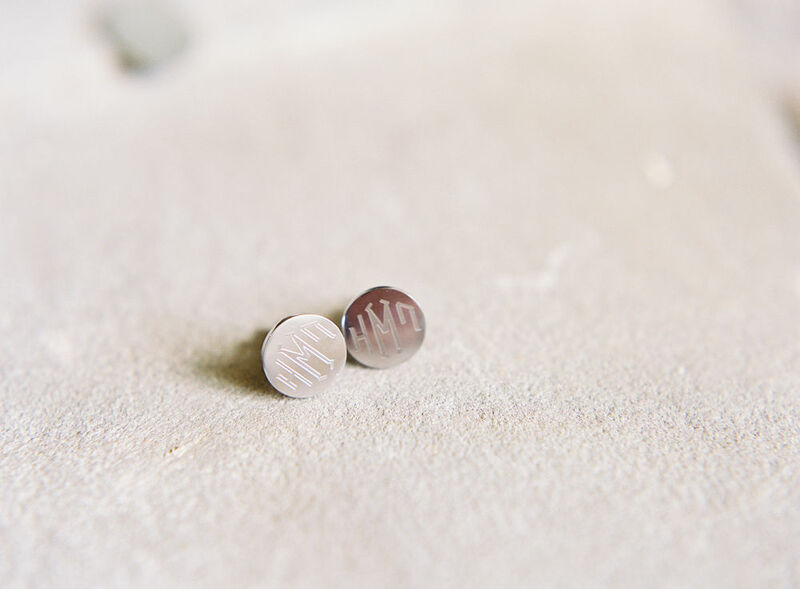 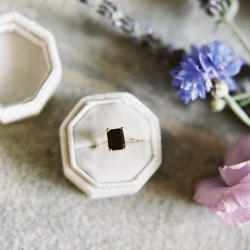 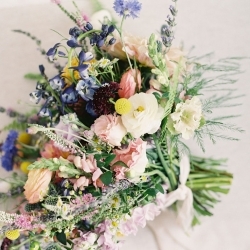 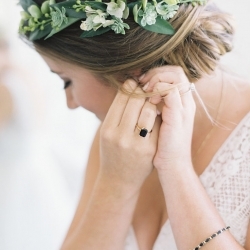 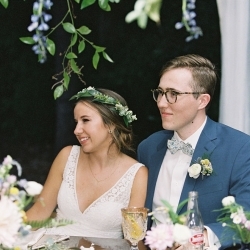 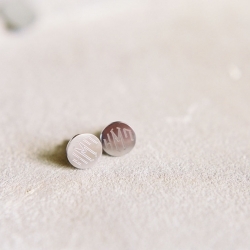 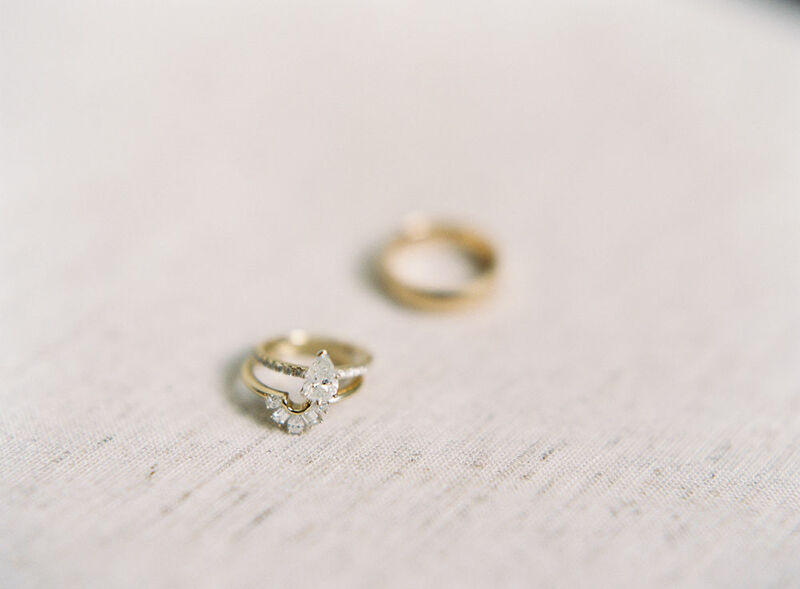 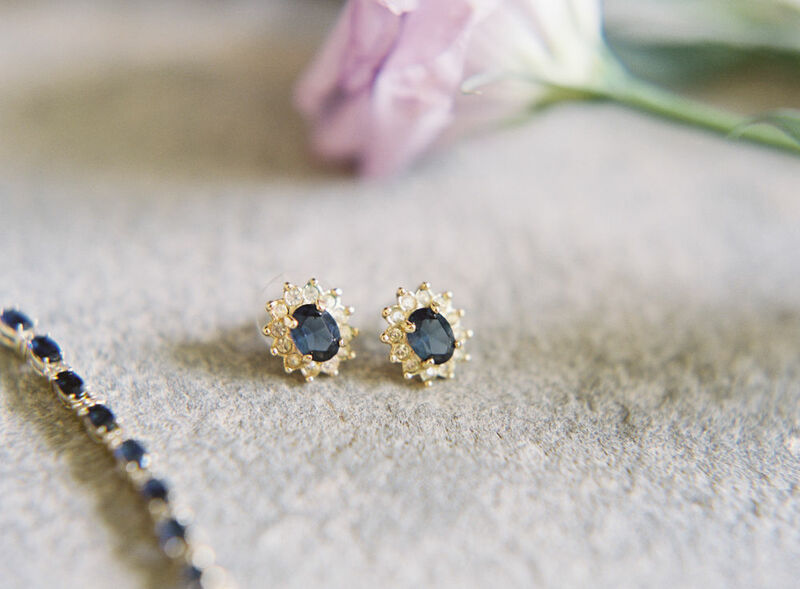 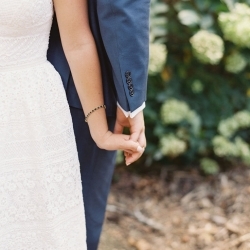 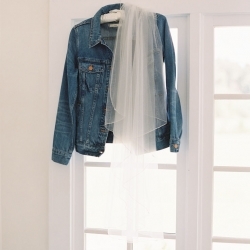 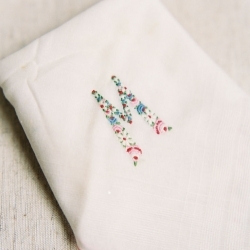 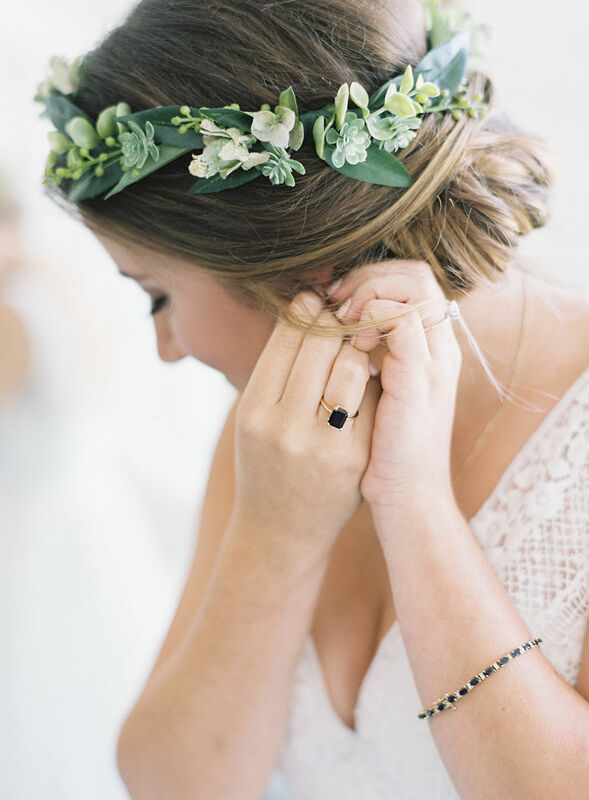 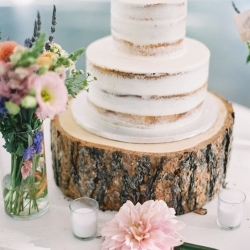 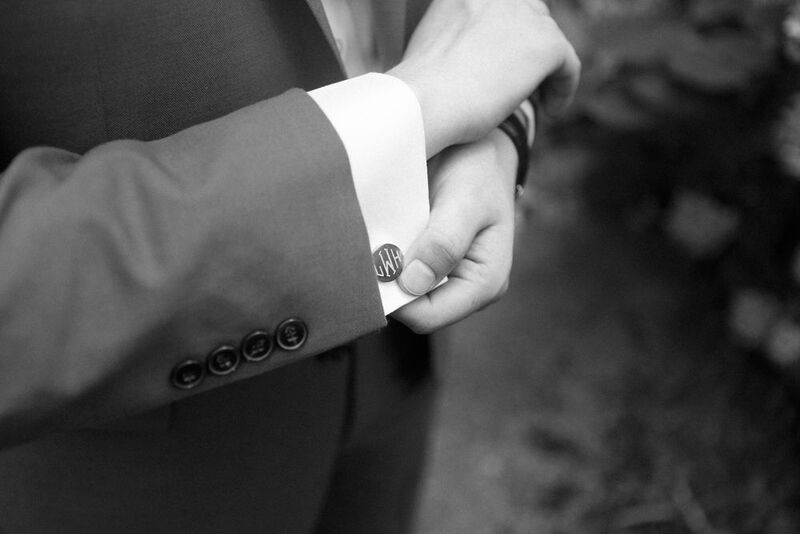 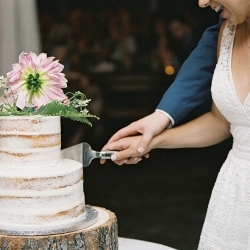 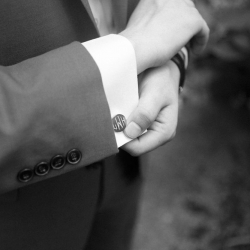 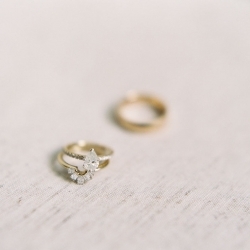 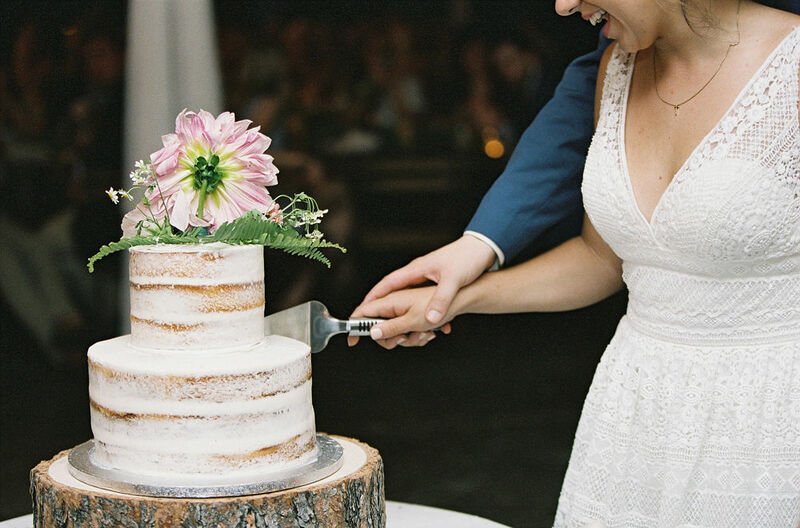 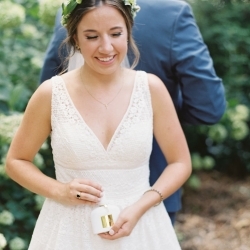 Her ring was a perfect complement with its vintage style to everything about this wedding! 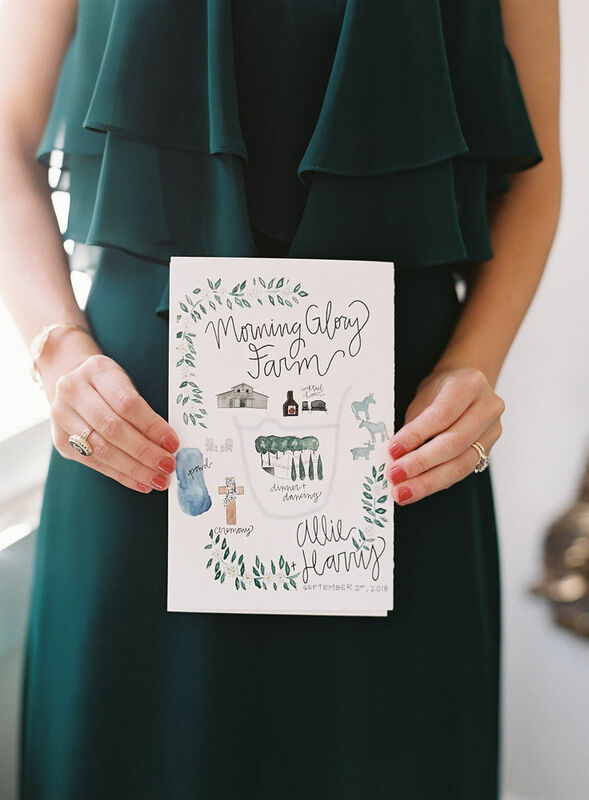 Allie is not only an amazing person, but she is also a pretty good hand letterer and graphic artist! 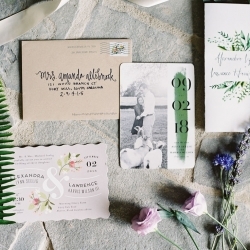 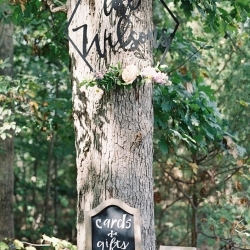 She made all of the table numbers and place cards herself! 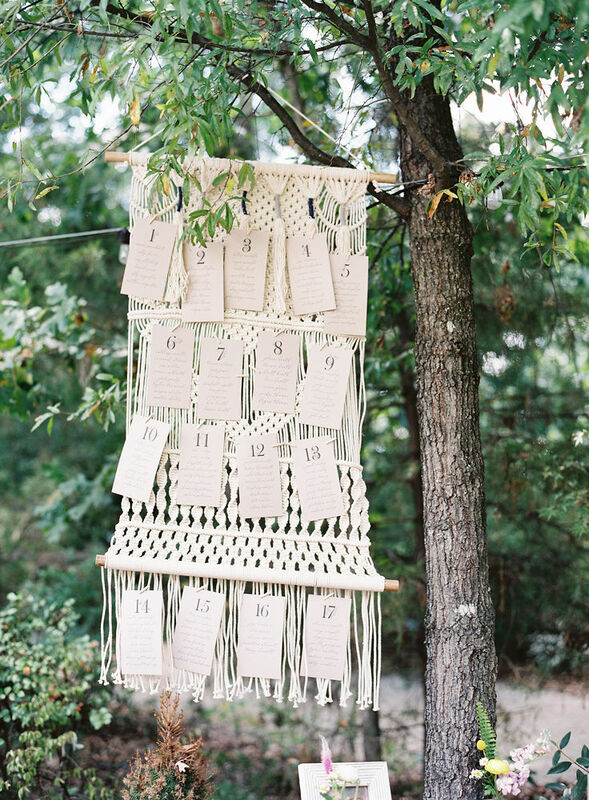 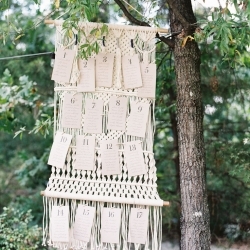 The macramé seating chart is now proudly hanging in her home. 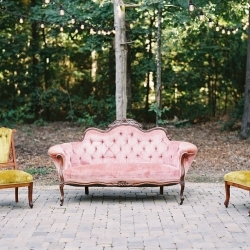 When working on a design with clients, I always try to select things that are not just used and thrown out. 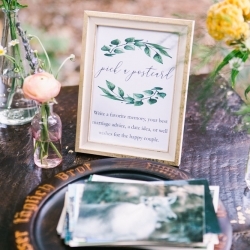 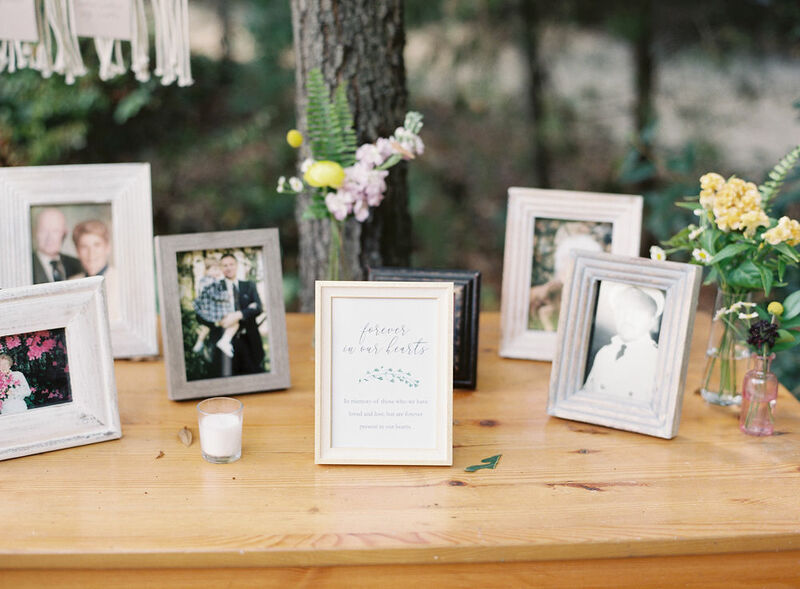 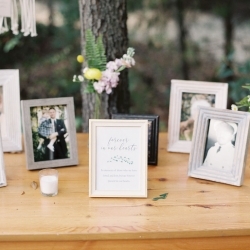 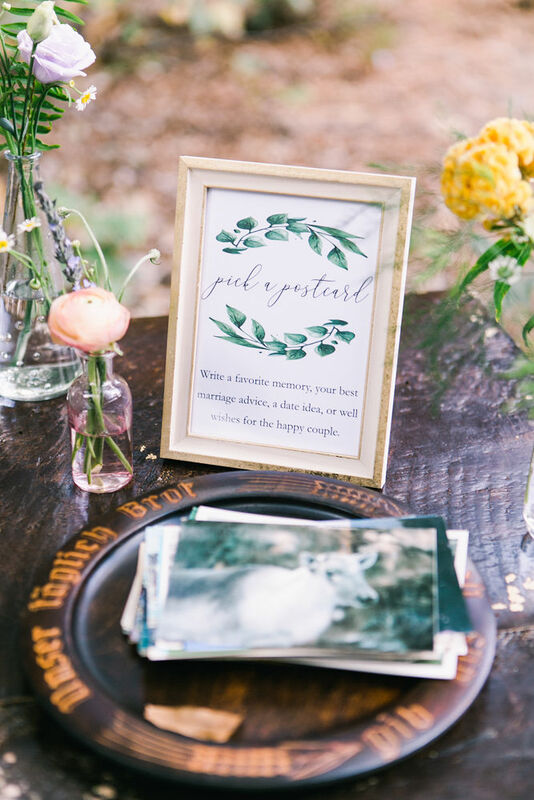 From the guestbook to the picture frames of family, I want you to use things that you will use in your home after the wedding is over. 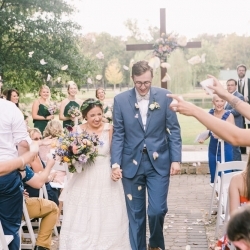 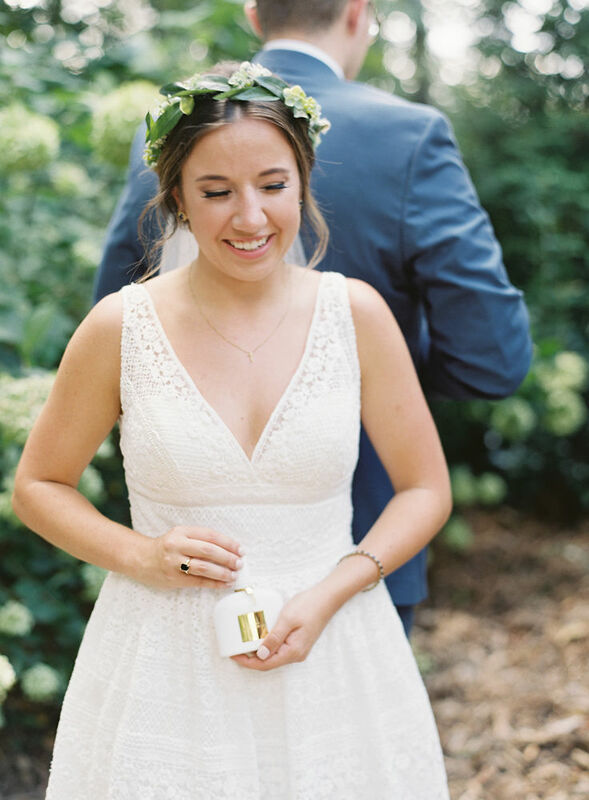 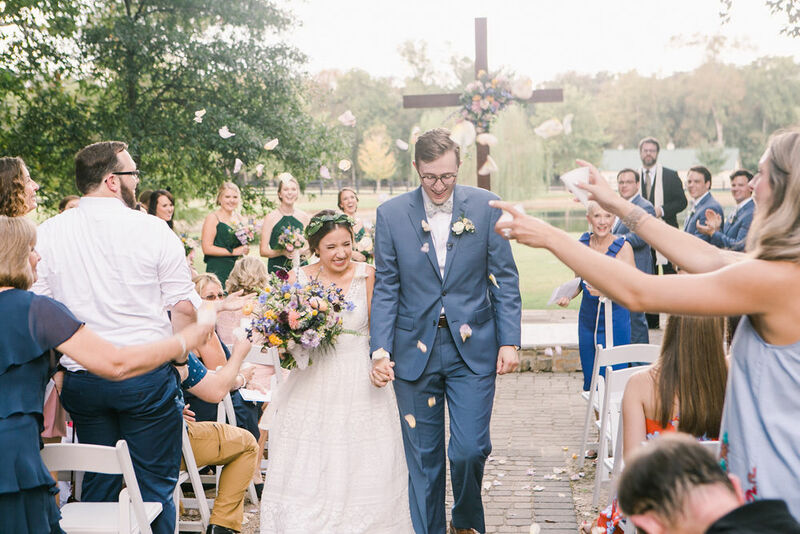 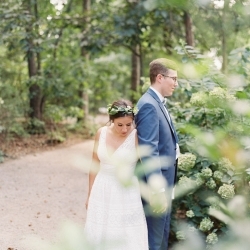 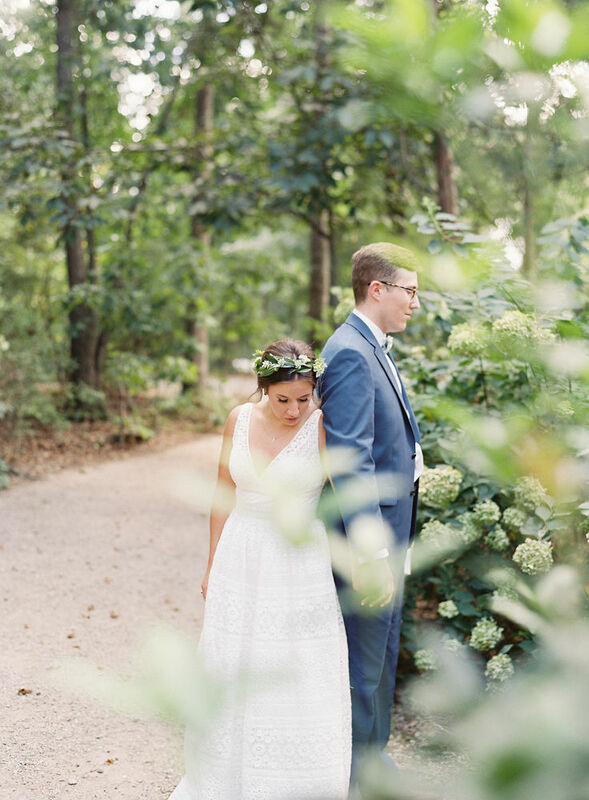 When Allie and Harris walked down the aisle from the ceremony, we threw rose petals on them! 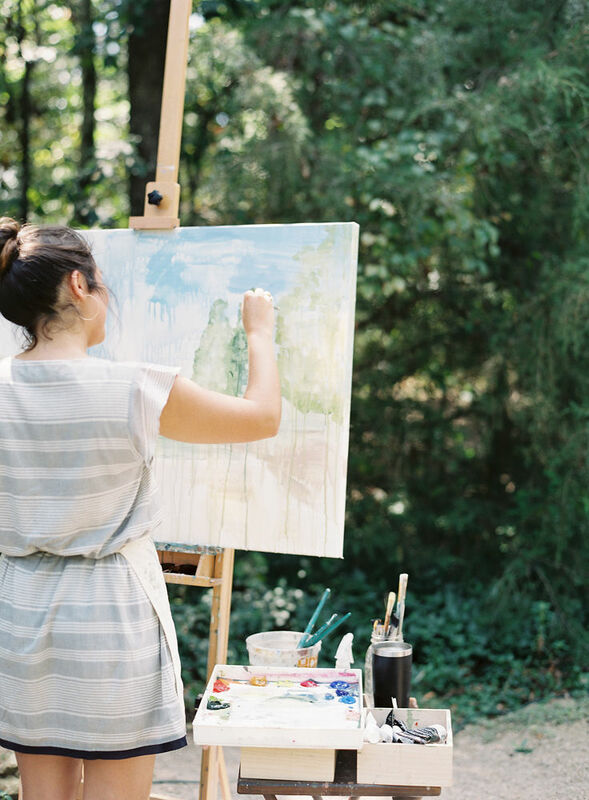 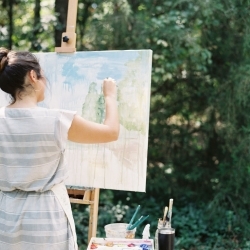 It was perfectly captured by their live artist, and the photo is beautiful! 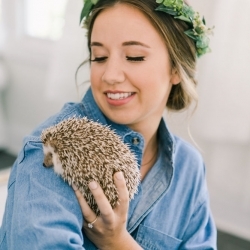 Allie LOVES animals. 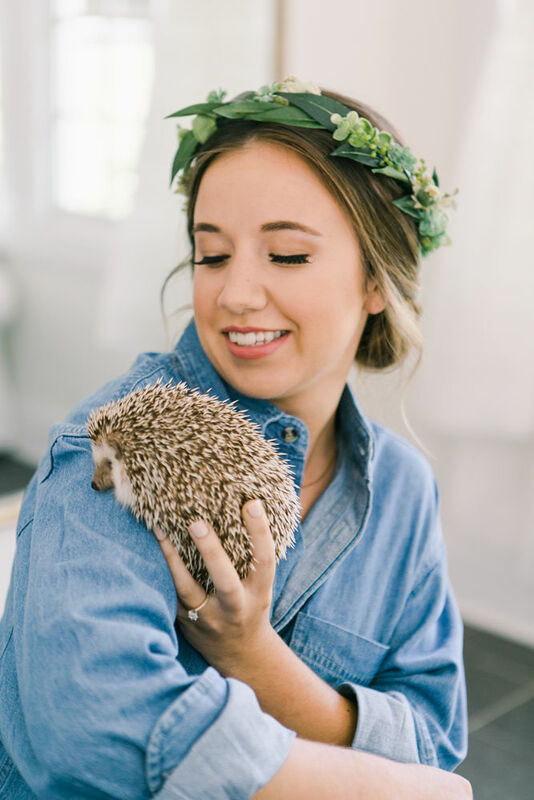 You can see her hedgehog, Flora, pictures in the bridal suite with her and I helped herd goats for some photos 😊 Wedding planner, goat herder, really whatever needs to get done! 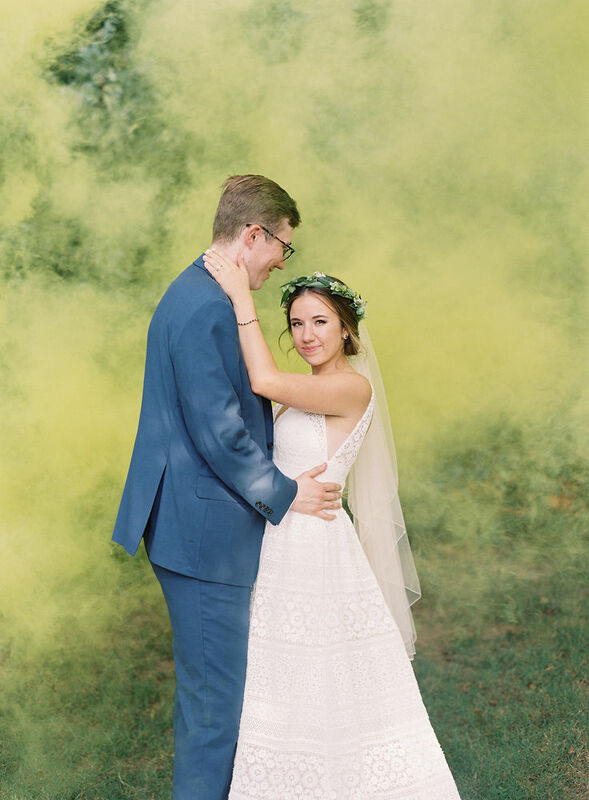 She really wanted to do the smoke bombs for photos, and we found the least expensive ones but forgot to tell her Dad where they were from – a gender reveal store! 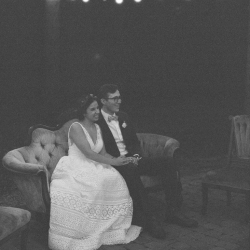 It made for a good story. 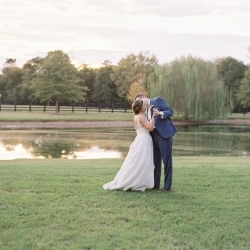 Allie and Harris had a perfect night and even though the threat of rain loomed over them, it never happened! 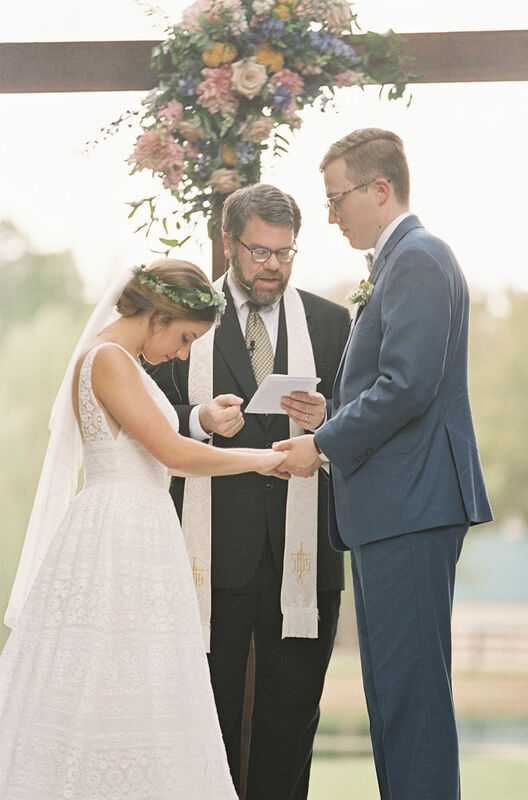 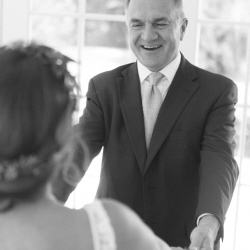 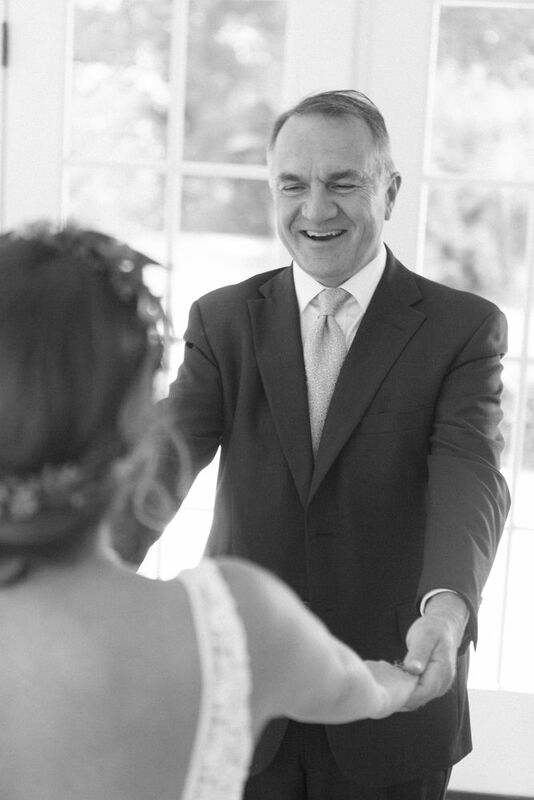 Their ceremony was joyous and special to them and as a wedding planner and designer, I can’t ask for anything else! 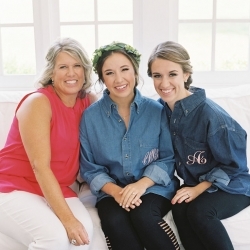 Allie and Harris, I absolutely loved working with you both and already miss you! 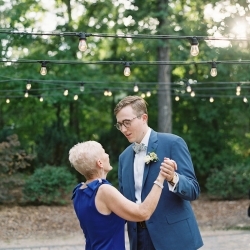 I wish you all the best in the future, and when I come to Raleigh I will text you! 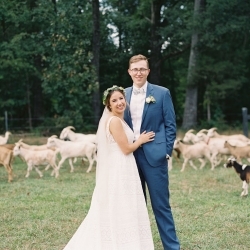 You can check out our interview with Morning Glory Farms here!